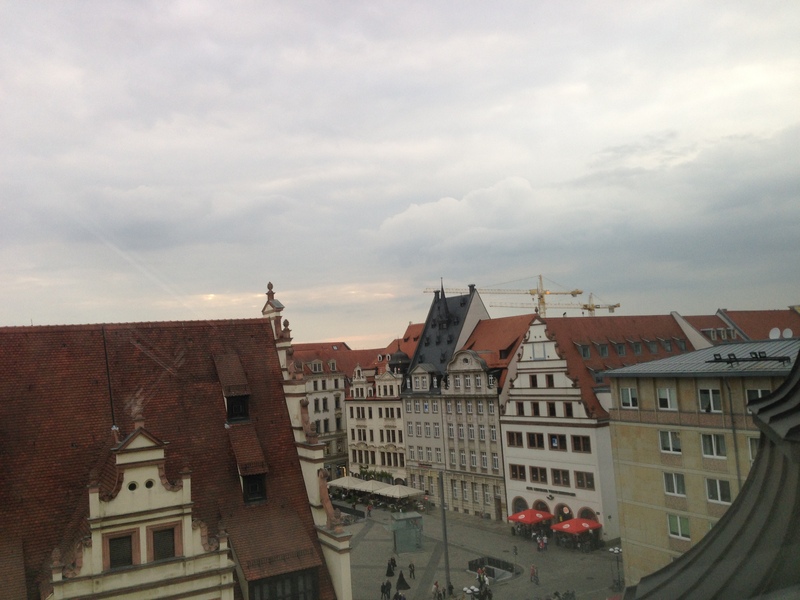 After visiting Rothenberg on the Romantic Road, we continued driving north toward our next destination at Leipzig. Along the way, we visited several places where my wife’s relatives were born or lived – maternal grandmother at Lindenau in west Leipzig, and great-grandparents at Ohrdruf and Wechmar near Gotha. 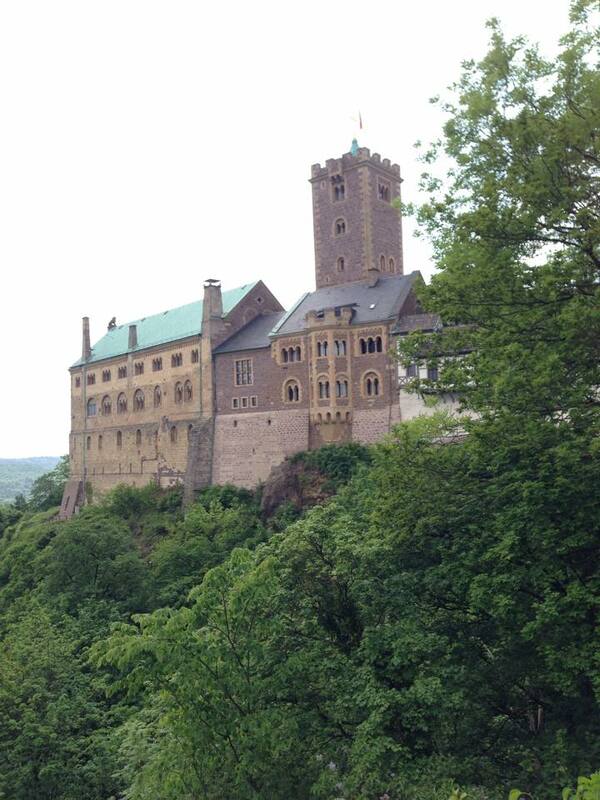 Also we visited the Wartburg Castle from the Middle Ages near Eisenach because she has a photo of her grandmother’s cousins taken there; it was interesting and we took a picture of her at the same spot. 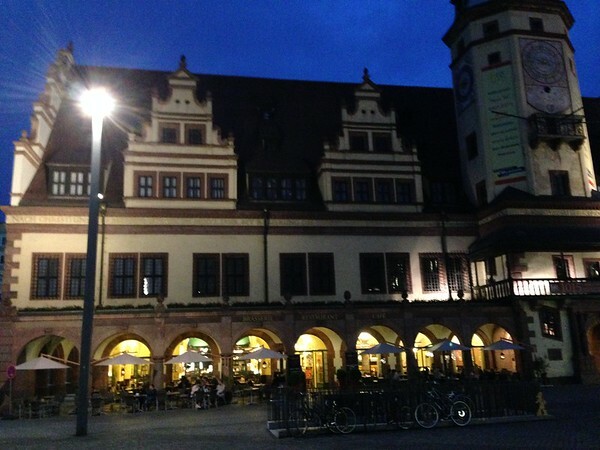 We arrived in Leipzig in the evening so we only had time for dinner and a brief walk around center city near the hotel where we stayed. 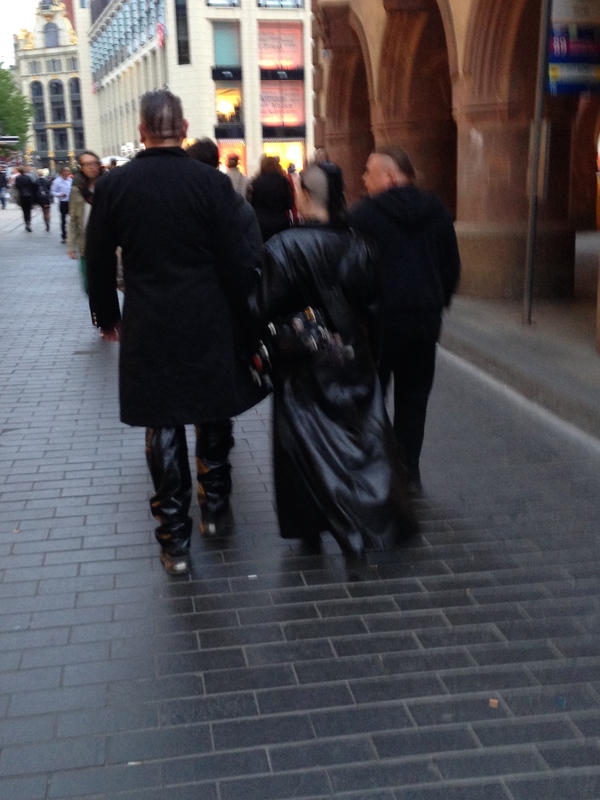 Apparently that weekend was the 24th International Wave Gothic Festival (Wave-Gotik-Treffe) which they have in Leipzig every year with about 20,000 gothic people from all over the world celebrating “dark” music and arts (world’s largest). 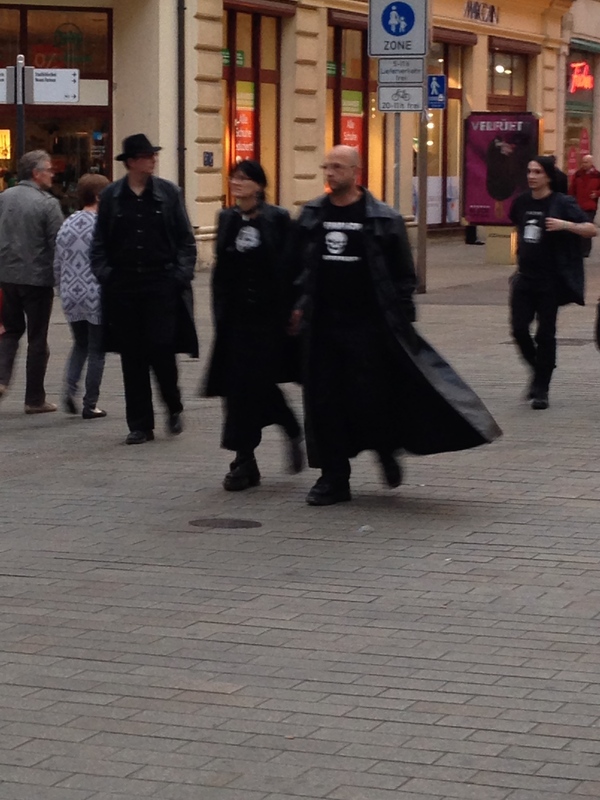 It was rather strange to see all these weird black outfits everywhere, including in our hotel and everyday you go outside. We really didn’t have much time there since we just stayed overnight in Leipzig. It was hard to judge how long our drive might take, especially since we took many back roads, and we thought that we might get there earlier than we did. 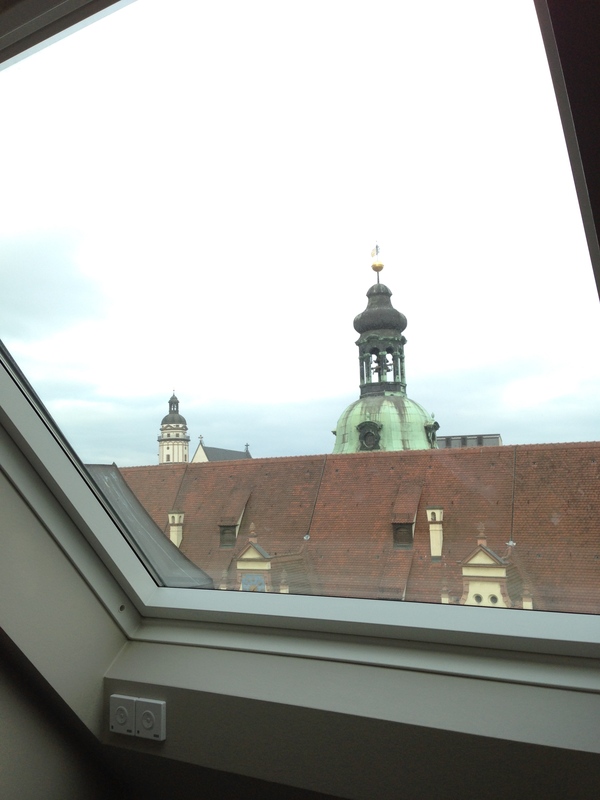 We had a very nice hotel in the main square, and our view from the bathroom on the 6th floor had an interesting view of the old city hall out the window, which is where we ate dinner in the larger photo below. We turned in our rental car in the morning and took a train north for Berlin, where we stayed 4 nights with my nephew and family who live there. Originally we planned to stay in Leipzig two nights but we needed to shorten that to accommodate a schedule conflict he had on the following day, but at least we got to spend more time in Berlin which was better anyway. Click on the following photo from Leipzig to view the Leipzig photo gallery (about 53 photos) at my SmugMug photo web site. 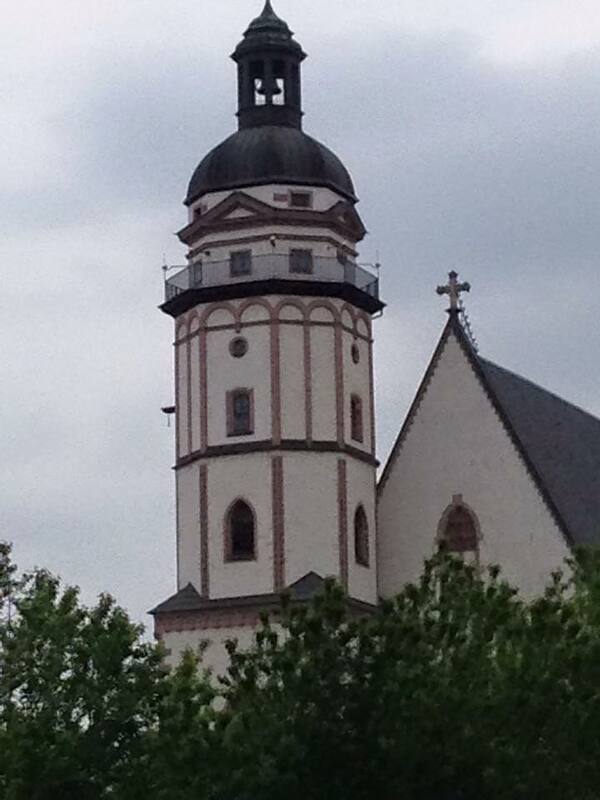 These also include photos from Eisenach, Ohrdruf, and Wechmar. The automatic slideshow displays each photo for 2 seconds with a 1 second fade transition. There are options for full-screen mode in the lower-right corner, and a pause button in the lower-left corner. There are also arrows on the left and right sides to move manually forward and backward through the photos.